Grace Kelley isn't blond or demure, and she definitely isn't a princess. At the moment 15 dollars and a single peppermint stand between her and starvation. 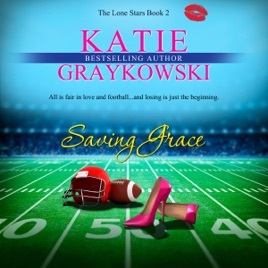 When she meets a teenaged girl in trouble, Grace's life takes a turn for the better. She goes from a homeless singer to a nanny in no time flat. Professionally, Chord Robbins has the world at his feet. As the coach of the Super Bowl-winning NFL team, the Austin Lone Stars, there is nothing he can't do. But his homelife is hell. He has three kids and no discipline, and his wife left him for her yoga instructor. When Grace stumbles into his life, he promptly throws her out. But she won't stay away. Since he can't get rid of her, he hires her. When these two get together, it proves that all is fair in love and football…and losing is just the beginning.